I highly recommend this novel, and enjoyed it thoroughly. The story begins with the end – in Peru in 1714 a bridge collapses, killing five people. Brother Juniper, a monk who witnesses the disaster and is also fascinated with the idea of scientifically proving God’s existence, collects and analyzes the evidence of these victims’ lives, hoping to witness God’s plan. 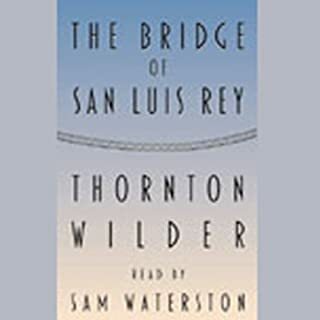 We then are taken into the lives of the individuals who died on the bridge – who they were, how they lived, and what forces drew them to cross that bridge at that fateful moment. Though seemingly unrelated at first, they are in fact indirectly related to Camila Perichole, a former Peruvian actress. Upon reading, I had initial fears that TBOSLR would depict the predictable 20th century existentialist world, where “God’s plan” is synonymous with “panacea” and that each of our lives is purposeless. Though I will not reveal the ending, Wilder steeres clear of this conclusion. Sam Waterston’s voice (Law and Order) is excellent. Perhaps some do not like his plodding, tired style, but I feel it fits this novel perfectly. Wilder's masterful accomplishment rests upon his proficiency in theatre. Limiting himself to only a few short scenes for each character, he perfectly encapsulates their motivations, dreams, fears, and essences. Readers will enjoy the depth of characters enclosed in such a brief novel. Fathers and Sons has been hailed as a masterpiece of Russian literature, but I knew nothing about it before picking it up. I was certainly impressed. The book centers around Yevgeny Bazarov, a young radical who embraces the idea of nihilism. Bazarov rejects the old conventions of the past (religion, aristocracism, liberalism, essentially all “-isms”) and believes that life is meaningless. During his travels with his friend, Arkady Kirsanov, he discusses and argues his beliefs with both parents and other characters. Despite his insistence that nothing in life has any meaning, Bazarov is a caring, loving man. What happens in the plot is of little importance compared to the progression of Bazarov and his beliefs over the course of the novel. The novel’s ending comes suddenly, but is not surprising. What is more crucial to the novel’s success is the way it captures the essence of people’s relationships and feelings through Turganev’s recounting of events. One always can tell where people stand in their opinions of each other simply by their basic actions. I was fascinated that in Bazarov,I could see feelings about tzars and social class in general which was reminiscent of the impending Soviet Communist Revolution. I also saw overtones of modern existentialism in a 19th century novel. George Guidall does a wonderful job, and is easy to follow. 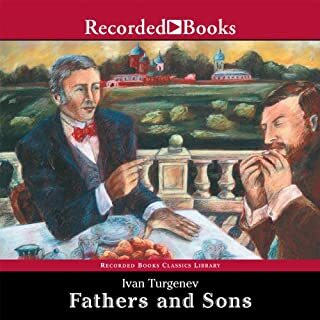 Like many Russian novels, however, Fathers and Sons can be somewhat wordy and complex. I am not sure if the English translations are to blame or if the style of Russian writing is simply not what Americans are used to. Nonetheless, Fathers and Sons is a classic and should not be missed. I knew nothing of this book until seeing it on a list of the best novels of the 20th century. 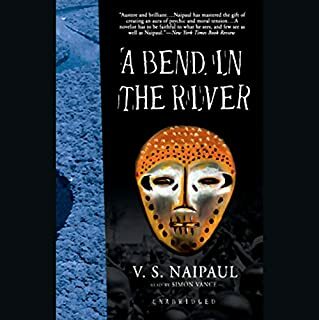 Now, I must agree that A Bend in the River is a fabulous novel. Though no specifics are named, A Bend in the River takes place almost certainly in Zaire, where the President (“the Big Man”) has put down the rebellion and restored order to the country. Business flourishes, and many rejoice in the promise of the future. Eventually, however, things take a turn for the worse. The political climate becomes more repressive, government corruption and poverty abound, and the place becomes a real mess. The reader experiences this through the eyes of Salim, an Arab-African (more African than Arab) storeowner in the local city. Salim is a fascinating narrator – his observations can be brilliant and insightful, yet his detachment from the real world is quite striking. Salim’s ability to conceal his emotions from both the reader and himself is also of particular interest. Simon Vance's narrative voice is also great. I now understand why this book is so highly regarded. I have never read a better personal account of the rise and fall of a dictatorial regime, fiction or otherwise. Naipaul’s work makes fantastic modern fiction. Set in nineteenth-century England, Silas Marner is a weaver who has moved to a new town, Raveloe. Repulsed by his appearance and cataleptic fits, he is ostracized by the community. After losing his faith and having his fortune stolen from him, his fortunes change over time. The fascinating subject is not Marner but the town, Raveloe, whose characters are of particular interest. It is interesting how Eliot spends more time discussing their thoughts and actions than the does Marner, the title character. I was interested in this book from reading Middlemarch and found Marner to be decidedly more entertaining, but not as in-depth. Yet there are important themes found in Marner--the loss of faith, the good of the community vs. the rights of the individual, and the importance of social class (this is present in every British novel). 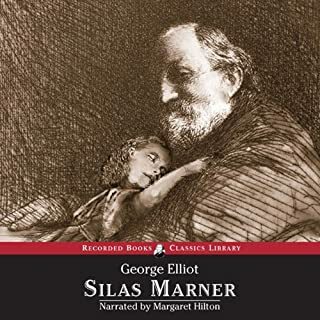 Marner is a masterpiece because it is written by a woman in the nineteenth century and one of George Eliot’s great works. It is also an entertaining book to read, and not too difficult, seeing its short length. Those interested in reading Eliot may want to start with this classic. A fascinating book about American foreign policy both leading up to and following 9/11. Though Mr. Friedman?s topic seems impossible to address without some political angle, Friedman takes a ?Dragnet? approach? ?just the facts.? He explains the goals and aims of Al Qaeda, the history of American presence in the Middle East during the Cold War, and explains Al Qaeda?s motives in attacking the United States on 9/11. He then discusses the response of the United States in great detail around the world, but focusing on the conflicts in Afghanistan and Iraq. The most fantastic aspect of this book was that it opened my eyes to the chess game of diplomacy which is going on over our heads. 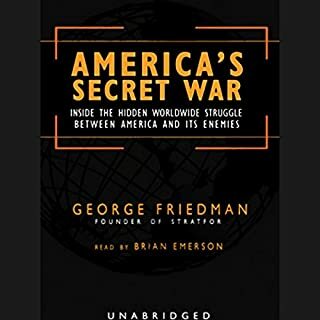 Friedman explains what the U.S. government did in order to get other countries to cooperate (every country stated PUBLICLY that they would cooperate, but many were not as helpful in substance). The flare-up between India and Pakistan was a result of the U.S. using creative diplomatic pressure. No book is without its shortcomings, and Friedman?s text has some limitations. First, some of his analysis is wrong. I have no idea which information is incorrect, but it is safe to assume that Friedman himself is not 100% correct. Because each of his points is so clearly stated and convincing, it is virtually impossible to know what is correct, and what is incorrect. This is difficult to keep in mind while reading. Also, I wish the title did not have to contain the word ?Secret.? Though the war is certainly hidden, those who don?t bother to read the book may think the ?secret? is that the war is about oil, the desire for revenge against Saddam, or any other of the groundless conspiracy theories (from any angle). Brian Emerson?s reading is great--clear and easy to understand. Friedman has written an epilogue to the book which can be viewed on the web (just Google the author?s name, title, and ?epilogue,? and you?ll find it). You'll love this book! This classic epic novel, written in 1819, was one I really enjoyed reading. The story is set in medieval England. King Richard lies in prison in Europe on his voyage from the Crusades. Meanwhile, the Saxons and Normans are fighting over the remnant of England. Ivanhoe, a disinherited son of a noble who was also on the Crusades, returns disguised as the Disinherited Knight. Together with the help of a mysterious Black Knight, they fight members of the Knight?s Templars, rescue the fair Rowena, whom Ivanhoe has fallen in love with, and perform other feats of heroism. This is a great adventure novel: a disinherited knight who is forced to fight several times when the odds are against him in order to win his love. Many characters are featured as well, including Robin Hood and his merry men. Any reader with an interest in chivalry, medieval times, English royal history, or good ol? fight scenes will appreciate this novel. 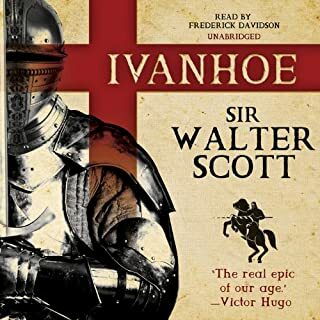 The book does feature a character worth mentioning: Isaac is an elderly Jewish man, and he has a daughter, Rebecca, who falls in love with Ivanhoe. Though the anti-Semitic rhetoric by some of the villainous characters runs pretty thick at times (this does take place during the Crusades, after all), it?s pretty clear the author despises such treatment. In actuality, Rebecca turns out to be the strongest heroine of the novel. It is clear why this book is still so popular. It?s a great story, with great heroes (and even better villains). You will really enjoy this book. One of the top ten books ever. Written in the early 1600s, Miguel Cervantes' novel about the delusional knight's adventures has become a classic staple of historic literature. 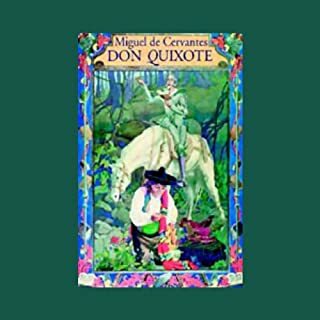 Don Quixote is a middle-aged man who, having read too many chivalric novels, actually believes he is a knight and sets out on his adventures. He is aided by his trusted squire, Sancho Panza, to whom Don Quixote has promised an island over which to rule once he completes his adventures and wins over his only love, Dulcinea. The adventures which follow are exciting and entertaining. Don Quixote charges at windmills, mistaking them to be giants. He mistakes a country wench to be Dulcinea who has been enchanted by an evil magician's spell in order to look like a country wench. In short, he can't distinguish reality from his fantasy. This novel is long, and unless you're a classic literature buff, you can get away with the abridged version. What makes the book such a classic is the complexity of the characters. Don Quixote isn't insane all the time--there are times when he seems to know more about reality than he lets on. Sancho Panza seems like an idiot for following Don Quixote around, yet Sancho goes back and forth between criticizing his master's idiotic notions and adoring some of them as well. Moreover, the source of Don Quixote's madness is his obsession with books on chivalry. Yet this book itself is a story about a chivalric knight. By taking this story's message to heart, aren't we committing the same errors as Don Quixote did with his novels? I liked Robert Whitfield's narration, especially his depiction of Sancho Panza. He made it easy to follow despite a large cast of characters. 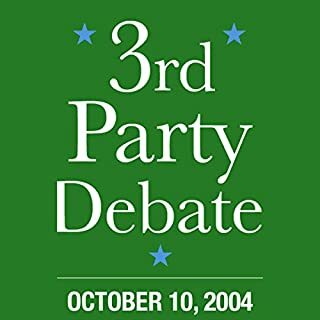 2004 presidential candidates from third parties met on the campus of Cornell University in Ithaca, New York, for a 90-minute debate on October 10, 2004. Government Professor Theodore Lowi of Cornell moderated the event. Participants included Michael Badnarik, Libertarian Party; Michael Peroutka, Constitution Party; David Cobb Green Party; and Walt Brown, Socialist Party. This debate is fascinating, much more so than the Republican/Democrat debate. There are four ?third party? candidates here, all from very diverse backgrounds. The Constitution Party?I?m not too familiar with this party, but they really like the Constitution and its very limited powers and seem to want to stick to a strict interpretation of the Constitution, which means a very limited government. The Green Party?This party wants to promote sound social and ecological change through governmental policy. They want the minimum wage to be raised to a living wage among other things. The Libertarian Party?Not confused with ?liberals,? this party emphasizes limited federal government, with more emphasis on state power and ?laissez-faire?-style free market capitalism in most affairs. The Socialist Party?Not THOSE Socialists, but other socialists who are patriotic, peaceful, and want a strong, centralized government with lots of public ownership. As you can see, there is a lot of contrast here, and the debate, while short, has a good deal of substance to it. The most notable downside to it is the moderator, who is so unprofessional that the segment sounds more like an intellectual dorm meeting rather than a national presidential debate. He comes off as a moron with his side comments and jokes. I?m not even exaggerating here. A MORON. The candidates, however, are entertaining and informative. Republicans and Democrats are great, and they have the power, but they don?t always make you think. Expand your mind by getting to know some the other parties out there. Although it is unlikely any of these parties will win a national election anytime soon, their debate influences public policies which are often usurped by the Red/Blue parties. Emmy award-winning journalist Charlie Rose has been praised as "one of America's premier interviewers". 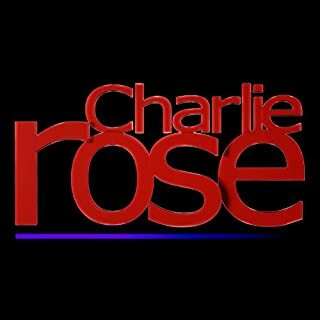 Each night, as host of his PBS program, Charlie Rose engages America's best thinkers, writers, politicians, athletes, entertainers, business leaders, scientists, and other newsmakers in one-on-one interviews and roundtable discussions. First--They've fixed the one-week delay, and now the broadcast can be heard by the next day! Second--For those who aren't aware of Charlie Rose, he is the best interviewer I know of right now. Even if you've never heard of him, you recognize his PBS show by his minimalist black set with a wooden table. What makes Rose's spartan show so interesting is his ability to ask deep questions--insightful ones that interviewers rarely get to but listeners want to hear the answers to. The other great aspect is his range of dynamic guests--from Hollywood actors and directors to politicians, architects, Harvard professors, CEOs, diplomacy pundits, rock stars, authors, etc. They're all interesting. Or are they boring people who are only interesting because they are answering thoughtful, probing questions from Rose? I'm not sure. Anyway, it's a great conversation. It's a good show, you get five hours/wk, and you feel smarter while being entertained. It's the best Audible has to offer right now in my opinion, even more so than C-SPAN's Booknotes (Hey, C-SPAN's Booknotes is good, I'm not even kidding here). Go for it and see. 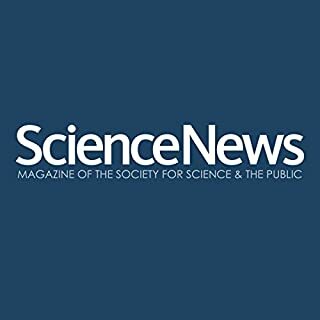 Turn to Science News for the latest coverage of biology, astronomy, the physical sciences, behavioral sciences, math and computers, chemistry, and earth science. Since its debut in 1922, the publication has been known for its sharp writing and up-to-date coverage of the latest scientific research. Science News is committed to providing reports on scientific and technical developments that the layman will find interesting and easy to digest. Science News is available in audio exclusively at Audible. For science lovers, this can be a good subscription. I'm interested by discoveries in science, which is exactly what this periodical is about--imparting the latest in scientific discoveries from the world of computers, astronomy, medicine, biology, and more. It's thorough and educational, but not captivating. The main problem is that there's only one narrator, and though he seems knowledgable, he speaks with little excitement. This leads to a science recording with more than one slow spot. I think it would be better if they had more than one narrator (like a newscast) or at least something to break up the monologue. It just keeps going from one story to the next like a ticker tape. If you like science, however, I think you can overlook this problem. It's just something to be aware of.